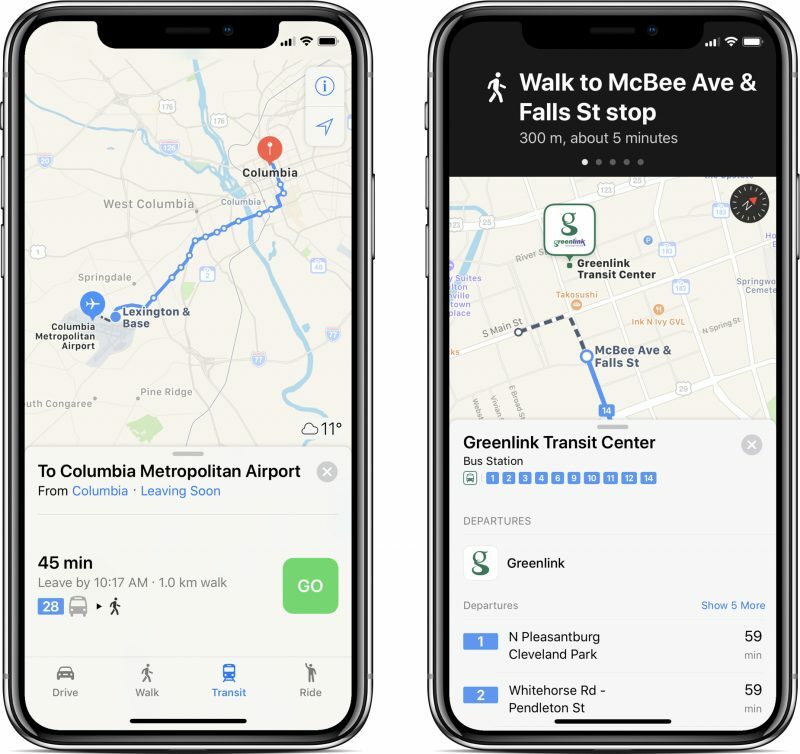 Apple Maps has been updated with transit data in Columbia, Charleston, and Greenville, enabling navigation and directions with public transportation in South Carolina's three largest metropolitan areas. Google Maps has also supported navigation via public transportation for several years now, including in Columbia, Charleston, and Greenville. One advantage of Apple Maps is that it lists departure times for bus routes in each city, whereas Google Maps doesn't have timetables available in every location. As a South Carolina resident, THANK YOU. The Charleston bus system is a nightmare to those who don't live there. What's up my fellow South Carolinians!